Desalination is a dynamically growing field with more research, more engineering, more applications, more countries, more people, and with more training programs. This book provides high quality invited reviews on progress in various aspects of the desalination field. It features comprehensive coverage of desalination science, technology, economics, markets, energy considerations, environmental impact, and more. 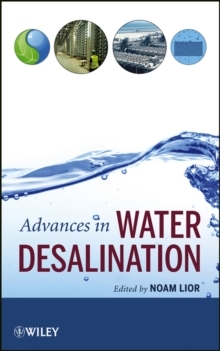 It is a key guide for professionals and researchers in water desalination and related areas including chemical, mechanical, and civil engineers, chemists, materials scientists, manufacturers of desalination membranes, water reuse engineers, and water authorities, as well as students in these fields.